As we enter 2016, Universal Robots is in the middle of the most exciting era in the history of robotics and the automation industry. We continue to see explosive growth, with 2015 establishing a new record in robot sales worldwide, topping 2014 by 15%. This year, we expect an even steeper curve. Specifically, the market for collaborative robots —what we call cobots— accounts for 100 Million US dollars per year, expected to increase roughly tenfold reaching over US $1 billion in 2020. As the inventor of this disruptive technology, we’re poised to retain our leadership position while expanding what is already a majority market share. In the months to come, you can expect to see new exciting features, technologies, applications, and products from our R&D group. Already, technology advances and industry innovations from Universal Robots and others have led to robotics becoming mainstream in small and medium-size manufacturers, helping them reduce manufacturing costs so they can compete effectively in broader markets. And human collaboration with robotics continues to make advancement in traditional markets as well as helping to develop new applications for automation. Collaborative robots from Universal Robots are in the center of these trends, and we continue to drive growth in these areas with the fastest payback period in the industry. Our highly efficient collaborative robots help lower labor costs and improve delivery times, with fewer production bottlenecks, less raw material waste, and consistent high product quality. With their flexible deployment and reduced expenses for safety guarding or complex programming, cobots from Universal Robots are the ideal automation tool for manufacturers who are ready to leapfrog their competition. And check our events calendar for a full overview of close encounters with the UR cobots. 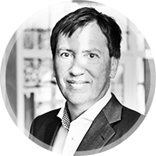 Enrico Krog Iversen was CEO and partner at Universal Robots from 2008 - 2016. He discovered a huge potential in the UR robots that - compared with traditional industrial robots - are intuitive to program, simple to integrate and flexible to deploy. Within a few years, he created spectacular growth and expansion of Universal Robots, combining many years of experience in management with in-depth knowledge of automation and production processes.